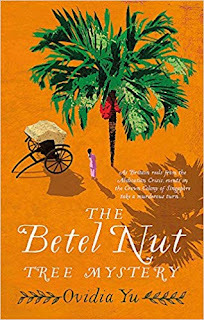 TBR 313: A new series from Ovidia Yu, finally available in the U.S.
A new series from Ovidia Yu, finally available in the U.S.
1936 in the Crown Colony of Singapore, and the British abdication crisis and rising Japanese threat seem very far away. When the Irish nanny looking after Acting Governor Palin's daughter dies suddenly and mysteriously, mission school-educated local girl Su Lin - an aspiring journalist trying to escape an arranged marriage - is invited to take her place. But then another murder occurs at the residence and it seems very likely that a killer is stalking the corridors of Government House. It now takes all Su Lin's skills and intelligence to help British-born Chief Inspector Thomas Le Froy solve the murders - and escape with her own life. Su Lin narrates most of the story, with occasional comments that show she is looking back at the events. 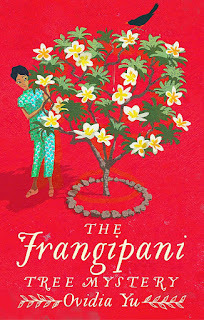 "I was to come to know the bungalow on Frangipani Hill very well, but on that long-ago first day I was young and awestruck..." Brief sections also follow Chief Inspector Le Froy, told in the third person, presenting events and conversations that Su Lin learns about later. I found Su Lin an interesting and sympathetic character straight from the first page, where she is caught between her formidable English mentor (who wants her to take a job with Le Froy) and her very traditional uncle (who has arranged three possible marriages for her). Su Lin's goal is a career in journalism, inspired by the character Henrietta Stackpole in Henry James' Portrait of a Lady, "whom I had found far more interesting than the book's heroine." She takes the position with the Palins in part out of compassion for their daughter Deborah, at seventeen only a year older than Su Lin, but due to brain damage from an illness mentally a child of seven or so. But Su Lin is also motivated by curiosity, to know what happened to the dead woman, Charity Byrne, an orphan like Su Lin but with no other family. Inspector Le Froy, "known for his willingness to work with - and against - men of any race, language or religion," does discriminate against women. "In the newspapers he had been quoted as saying that the police force would never employ female officers because it was impossible to work with irrational persons." It's lovely to see his prejudices breaking down in the face of Su Lin's intelligence, competence, and compassion. "It was his first inkling of how tough a practical female can be." There is so much to enjoy in this story, both the setting and the fascinating mix of peoples. 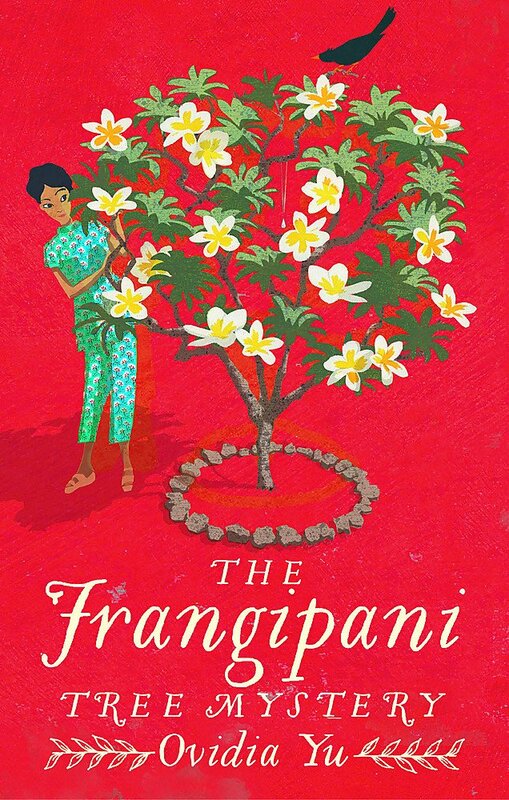 Su Lin's best friend from school is Parshanti, whose British mother and Indian father put the family in a complicated, uneasy place in the community. Like Su Lin, Parshanti's options are limited now that her schooling is ended. Her father, a doctor, has trouble finding patients so he works with the police on forensics. Perhaps she will end up helping Su Lin in the cases to come! I found Miss Stackpole more interesting than the book's heroine, too! I've never heard of this author but the books sound great. The Aunty Lee books are great fun, though I find the mysteries themselves a little hard to follow sometimes. The characters more than make up for it, and the settings are so intriguing. Oh these books sound fun! I've read her Aunty Lee books and they were well, ok in terms of the mysteries, I kind of just preferred reading about Aunty Lee and her food. I agree! Aunty Lee herself is such a great character, and Nina - and I love the restaurant.